Xiaomi increasingly eager to develop an advanced smartphone, but you can get them at affordable prices, even if you compare Xiaomi smartphone with high-end specifications. Are you prepared in the presence of Xiaomi Mi5 and the Mi5 Plus? After the success of Mi4 and Mi4i or Redmi Note 2, now you can be patient to wait for the presence of Mi5 or Mi5 Plus. 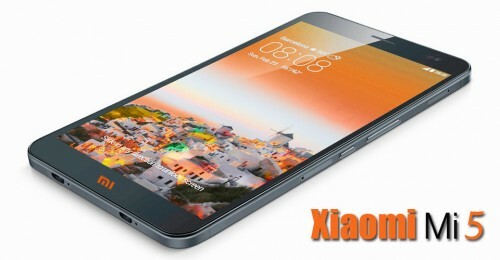 Xiaomi Mi5 of course is the next generation of Mi4. So, what are the technology and specifications Mi5, so that it can compete with other famous brands? According to the news leaked to the media, the Xiaomi Mi5 is expected to come with a 5.2-inch touchscreen and by Gorilla Glass 4. There is also a puzzle unsolved on its processors to be mounted on the Mi5. It is expected to have either a Qualcomm Snapdragon 810 820 or Qualcomm Snapdragon processor clocking at 1.8GHz, Android 5.1.1 Lollipop, with 4 GB of RAM, 16 MP camera playing with dual-LED flash and optical image stabilization (OIS), 5 MP front snapper and 3000mAh or 3200 mAh battery. There is also information that says that the device will feature a fingerprint sensor and Type-C USB port. Xiaomi Mi5 and Xiaomi Mi5 Plus are expected to come with a 4 GB of RAM and in 3 storage memory variants i.e. 32 GB, 64 GB and 128GB. 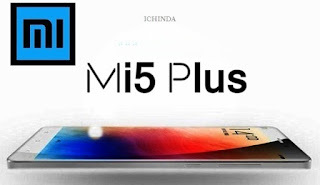 The Mi5 might be loaded with a 2k Ultra HD Screen, 5 inch IPS LCD capacitive touch display, and the Xiaomi Mi5 Plus with a screen size of 5.6 inches with the same pixel density as that of the Xiaomi Mi5. Another great news for smartphone enthusiast that two SIM card slots are pretty much guaranteed for the Xiaomi Mi5, and a microSD card slot might also be featured. There is also a rumor that the Mi5 will be equipped with Touch ID sensor. Another level of security feature that Xiaomi is working on is the Retina Sensor roomates would scan an eye retina in microseconds and unlock the phone. If this is true, then Xiaomi rightly dubbed as "Apple of China". Although the technology or a different processor used with the iPhone, but some models Xiaomi glance similar forms of iPhone. Waterproof smartphone is a necessity nowadays as we use the phone all the time everywhere, and there are hints that Xiaomi will apply waterproof technology at Mi5 and Mi5 Xiaomi Plus. If this happens, then Xiaomi will follow the lead of the series Sony Xperia Z and other brands that have preceded the use of this water resistant features. Of course this is incredible news, so that you can bring to the world the Mi5 in all weather and environmental conditions rather extreme as at the beach or a snowy area. There is a saving special that you can enjoy if Xiaomi implement a feature 4K at Mi5, namely with the deadly combination of the 4k HD video streaming and Generation Next IR Blaster, then the Mi5 can be connected to Ultra HD big screens wirelessly through HDMI and with the dedicated remote control to give you the real gaming experience. For the Adreno 430 GPU and Qualcomm Snapdragon 820 processor. The latest procesor and the GPU does have the capacity to bring all your games into a small the Xiaomi MI5, and MI5 Plus. Again, if this news is true when both Mi5 models are launched, then you do not need to buy other high-end smartphones, which are definitely more expensive. For an advanced technology, you did not have to spend a high cost. Now you have a chance to people who have the financial savvy. You just need to choose one of them, Xiaomi MI5 or the MI5 Plus.